Citrus fruit is not the only thing we should be eating during those cold winter months! Asparagus is a good source of vitamin C, an antioxidant that assists in immune function. What’s not in asparagus is just as important as what is. 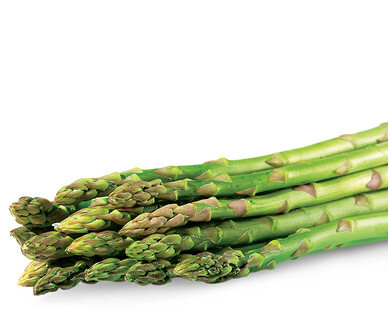 You won’t find fat, saturated fat, sodium or cholesterol in any stalk of asparagus. Asparagus is one of the best food sources of folate. Folate is an essential nutrient for pregnant women – it lessens the risk of the baby developing neurological birth disorders. Did you ever wonder about a strange odor that can be found in urine after consuming asparagus? It’s completely natural and is caused by the breakdown of asparagusic acid into sulfur-containing compounds. It takes an asparagus plant three years after it is planted to produce edible spears, but the plant will generally continue to produce edible spears for 15 years. Be sure to pick odorless stalks with dry, tight tips. Avoid limp or wilted stalks.